Some destinations never grow up. You know the ones: Ibiza, Phuket, and Cancun. They’re the places you went for long weekends and spring breaks. You’d barely remember the late-night parties. And luckily, social media wasn’t around yet to remind you. While some locations will be stashed away with mostly good memories, others seem to be maturing with you. It’s time to return to Goa. India’s smallest state became famous in the 1960s, when hippies descended upon the coast of the Arabian Sea. The former Portuguese province was known for its all-night, full-moon parties fueled by feni–a liquor made with cashews or coconuts–and who knows what else. The hippies eventually moved on. Or maybe they matured, too. 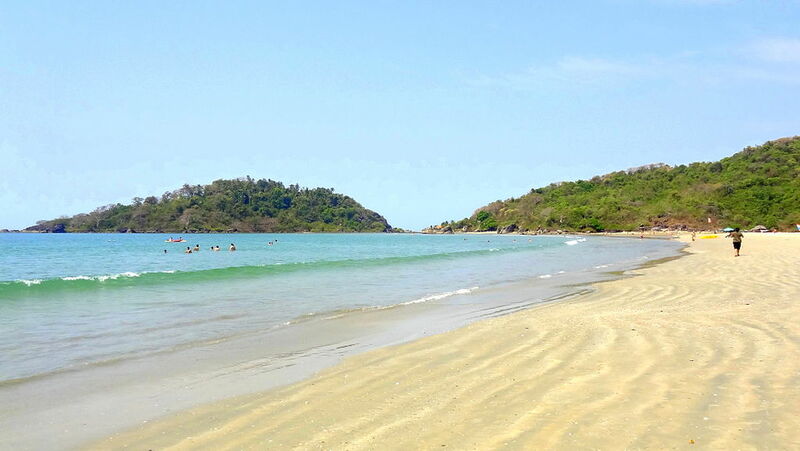 But the beautiful beaches remained. And low-key hotels and restaurants moved in to the little fishing villages. Mandrem is one of those villages. The North Goa town has two 17th century forts, Tiracol and Alorna. Mandrem Church sits on the hillside. And two temples, Shri Bhagavati and Shirr Purchevo Ravalnatha are dedicated to the Goddess Durga and Lord Vishnu, respectively. But Mandrem isn’t known for theses barely visited sites. It’s known for its gorgeous beaches. Arambol, Mandrem, Ashvem, and Anjuna. The quiet beaches are lined with palm trees and bordered by calm, shallow water. Along Ashvem Beach, you’ll find Amarya Shamiyana. It’s neither a hotel nor a resort. 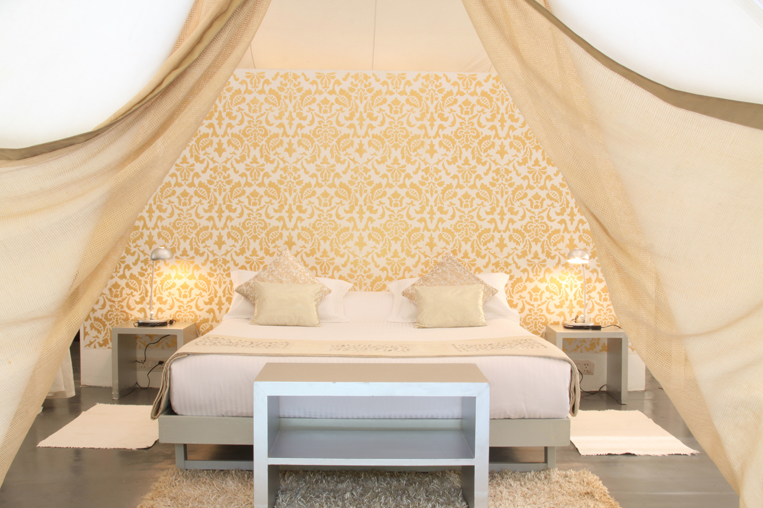 It’s just stylish safari tents outfitted with modern conveniences and chic Indian designs. Each of the four tents–pink, blue, purple, and gold–have hand-painted damask murals and woven drapes, daybeds and sun loungers, air conditioning and iPod docks. You’re close to the water and under the stars. Call for breakfast–it’s served all day–when the cockerels eventually wake you up. Browse the silks and the pashminas at the Nana Ki boutique. Sip coffee at the Nespresso bar in the coconut grove. And absorb lots of vitamin D on the beach. Later, it’s a short walk to La Plage. Surrounded by palm trees, the restaurant has white tables in the sand and muslin curtains blowing in the breeze. Soft jazz music plays while you eat calamari stuffed with ratatouille, sardine filets with wasabi cream, and heavenly chocolate cake that you can’t pass up even though you’re spending the week in your bathing suit. Like a fine wine, Goa has aged well. So there’s still hope for the rest of them.